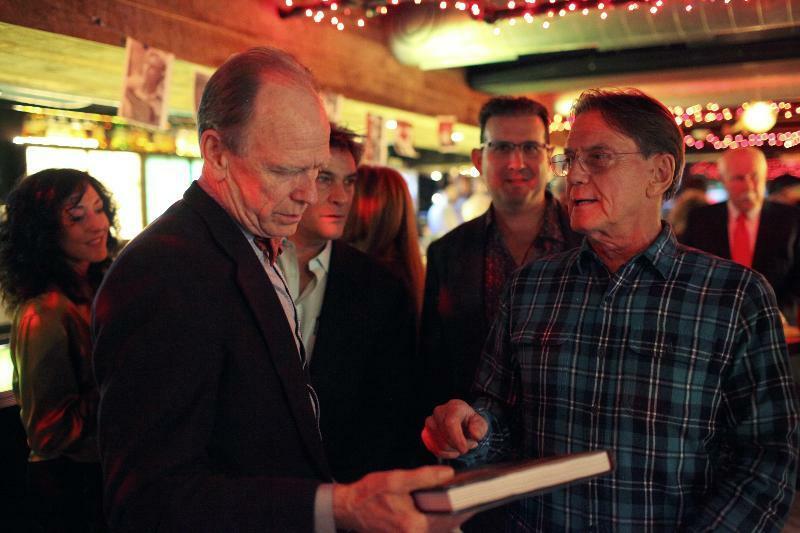 Livingston Taylor (left) with Don Law at the Verb Hotel. It takes a special occasion to get Carly Simon to decamp from her dreamy Martha’s Vineyard compound, especially in January. But there she was in a floppy hat and oversize tinted shades at the Verb Hotel Wednesday. The occasion was a party to celebrate Livingston Taylor’s 50 years in the music business. The “You’re So Vain” singer has remained close to Livingston despite long ago divorcing his brother, James Taylor. Carly arrived with her partner, Dr. Richard Koehler, and her daughter, singer Sally Taylor. Others at the bash included Livington’s sister Kate Taylor and nephew Isaac Taylor — JT, who’s currently on tour, checked in with a video tribute — Live Nation boss Don Law, who was Taylor’s first manager when the singer was 19, Chesky Records founder Norman Chesky, former lieutenant governor Tom O’Neill III, Verb Hotel owner Steve Samuels, and rock ’n’ roll archivist David Bieber. Livingston, whom his sister called “the James Brown of folk music, the hardest-working white man in show business,” performs Friday at the Sinclair.